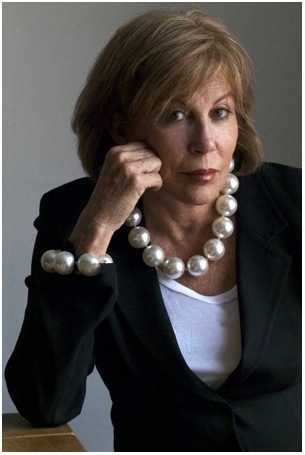 Hot Girls Pearls - Menopause Necklaces Take the Heat out of Hot Flushes! If you are a woman of a certain age, you will definitely understand the embarrassment of hot flushes. The sudden rise in body temperature bringing about red cheeks when you least expect can really disrupt one's life. Just ask Connie Sherman. Connie suffered terribly from hot flushes for 10 years after reaching menopause at 47. It affected her job because her heavy perspiration during presentations gave the impression she was nervous when she really wasn't. She tried just about everything to cool herself down from wearing light clothing, carrying bottled water and fans and wearing wet bandanas which was awkward, to say the least. She was so desperate at one point, she even stuck her head in the freezer in an effect to cool herself down. That's when she had her epiphany - wear ice cubes! Connie is not the first one to think of ice cube jewelry (see link below) but she is the first to persist and find a way of making the idea work. Her first attempt was with ordinary plastic ice cube molds. But the experiment of wearing a string of them showed they melted far too quickly. And clothes got wet! So she worked with the manufacturer to come up with a practical non-toxic gel-filled necklace version of freezer packs. 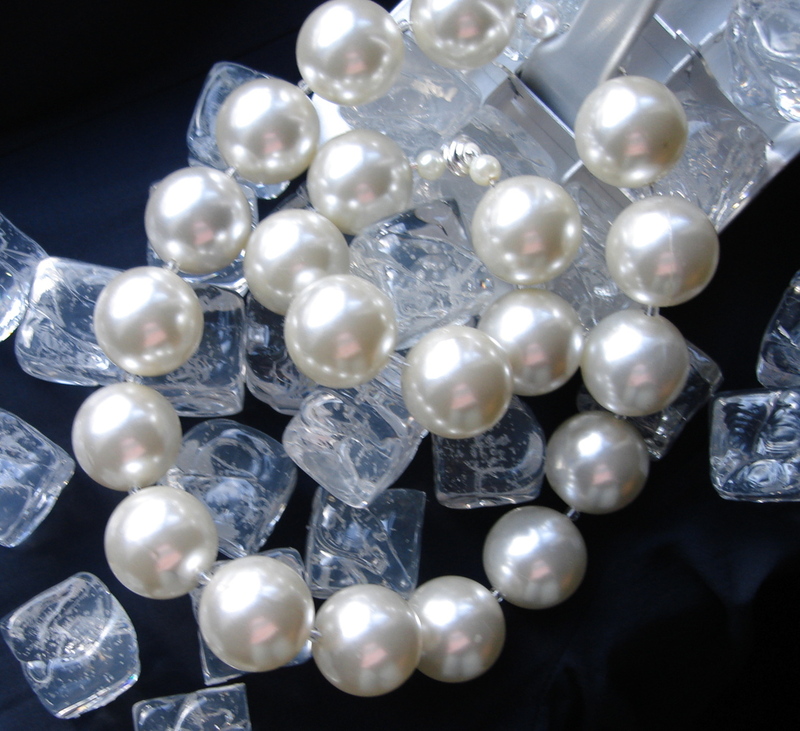 The final design of large "pearls" works because the oversize beads will stay cool longer. The round shape is also crucial because less of the bead is in contact will hot skin. So again, the cooling effect is prolonged. 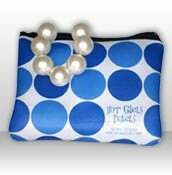 Hot Girls Pearls was a hit when it launched! They are stylish. 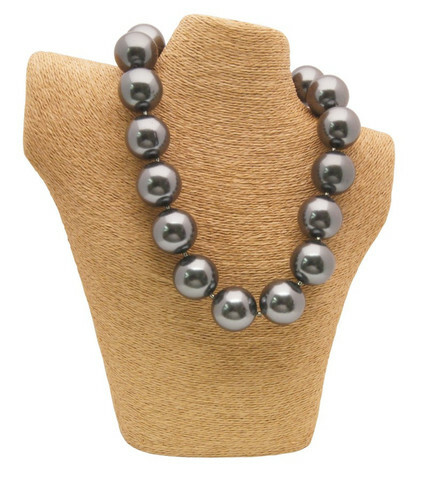 The necklaces come in 3 lengths and have magnetic clasps. There is also a bracelet version. An insulated travel purse with an ice pad is also available so women can store their necklaces during the day when they don't need them. The purse also works to hold the necklace in the freezer. Even if you don't suffer from the side effects of menopause, these necklaces are just the ticket for hot summer days. Connie is an inspiration to all would-be entrepreneurs out there. She said, "I’ve had a lot of dumb luck along the way, but I acted on it. I sure as hell wish I’d come up with this idea 30 years ago, but when a great idea hits you, it hits you. The passion you have for something supersedes your age. The important thing is I made it happen." Thanks to reader Margaret Lachat for this tip! What a great idea! Genius! What a brilliant idea! Connie is a genius! The jewelry is beautiful, who would think it's also functional. This is the most amazing idea I've heard of lately. And they look so hot and classy! I'll definitely share the story! About time! Such a wonderful idea. Women should talk more about the symptoms of menopause and share remedies. Brilliant! How cool is that??? (Pun definitely intended). FYI--If you take 2 flax seed oil capsules every morning, no more hot flashes!!! What a great idea! I will be saving this post as I know sooner or later I will be able to put them to use. I have some and they are awesome! Thanks for your thumbs up Kathy! Other readers take note!